Who says good-for-you treats can’t also be indulgent? 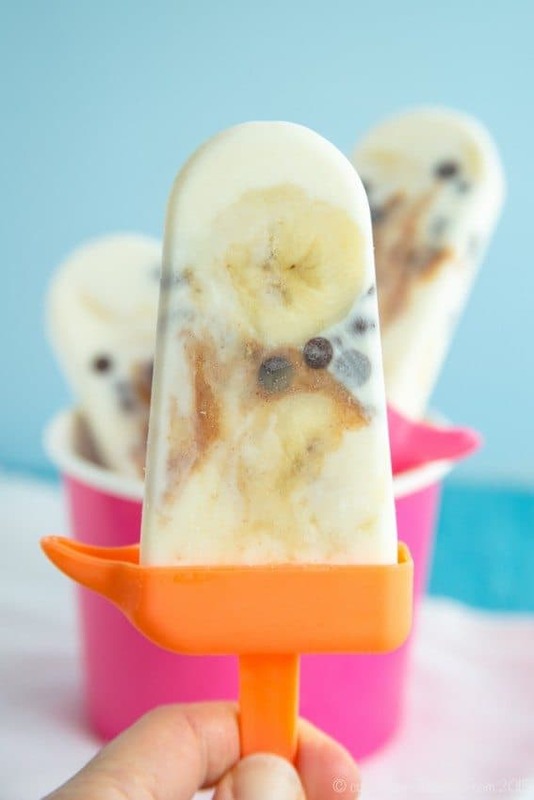 Yes, these are supposed to be healthy snacks for kids, but this mama might have snuck one or two herself, because it’s still hot, and when you need to cool off, nobody can resist this favorite flavor combination in a frosty form like these Banana, Peanut Butter and Chocolate Chip Cheesecake Frozen Yogurt Pops. Hey everyone, it’s Brianne from Cupcakes & Kale Chips, and I’m bringing you some more healthy kids snacks. But really, I’m an irresponsible food blogger. 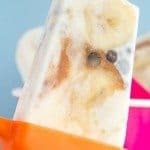 Your kids are back in school or about to head back to school, the “good” food bloggers are breaking out the apple and pumpkin recipes so that by mid-September Pinterest is flooded with new autumn content, and I’m giving you popsicles. But come on, guys, it’s still hot! And I don’t know how things are these days, since my kiddo is still a couple weeks away form starting kindergarten, but when I was in school, those buses were not air conditioned. Do you think your sweaty, tired kids want to get off the bus and eat pumpkin pie? NO! They want popsicles. Trust me on this one. Well, unless they are my two-year-old, who has not grasped the concept of ice pops or fro yo pops or anything frozen on a stick, and insists that I cut it off of a stick and serve it to him in a bowl with a spoon. But he’d still choose ice cream or chopped up popsicles any day pretty much any other treat. He is clearly my child. 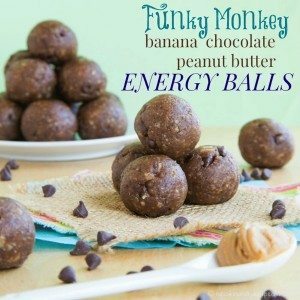 But the best part of these pops – your kids think they are getting a treat, you know that they are getting something that’s at least healthier than the Sponge Bob pops that my five-year-old is constantly begging for, and then you can enjoy the leftovers. Talk about a #momwin! I knew I could work my absolute favorite flavor combination into a popsicle by simply blending them together smoothie-style and pouring it into molds, but I wanted to do something a little more fun. 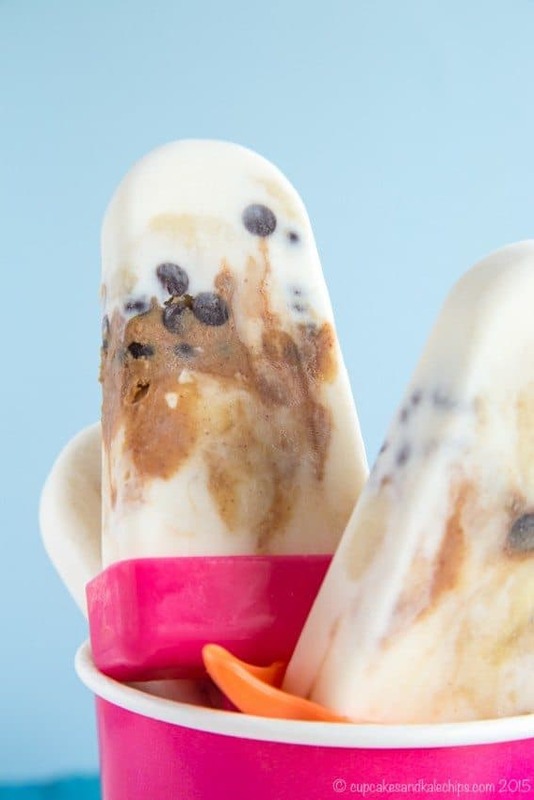 So to make these Banana, Peanut Butter and Chocolate Chip Cheesecake Frozen Yogurt Pops, I layered the ingredients. 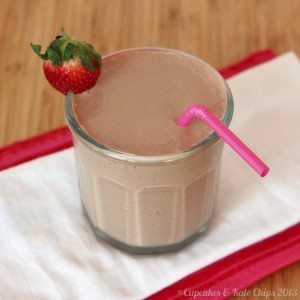 It makes them look super cool, plus you get all of those different textures and flavors – the creamy yogurt with a bit of cream cheese for that cheesecake-like tang, the smooth peanut butter, the little crunchy bits of chocolate, and then the banana slices for an extra sweet pop of flavor. Obviously the exact amounts you’ll need will vary based on the size of your molds and how many popsicles you want to make, so just use it as a guideline and have fun! Everyone's favorite sweet flavor combination in a healthy frozen treat for a fun summertime snack. In a small bowl, blend together the yogurt and cream cheese. Place a couple of tablespoons of the yogurt mixture in the bottom of four popsicle molds. 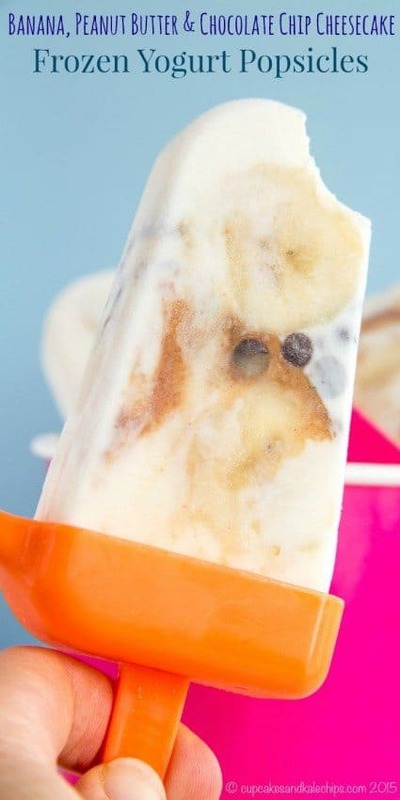 Divide about half of your banana slices between the popsicle molds and tap down slightly. 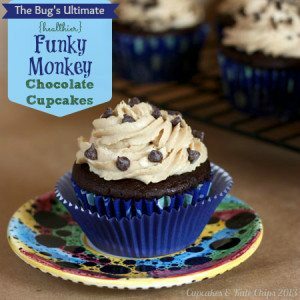 Place about 1 teaspoon of mini chips and 1 teaspoon of peanut butter in each mold, then top with the remaining banana slices. Using the remainder of the yogurt mixture, fill the molds, tapping to release any air bubbles. Insert sticks and freeze at least a few hours, until frozen. This filled my four popsicle molds. If you have different size molds or want to make more, adjust the quantities accordingly. I have some popsicle molds I need to use more. These sound perfect! Thanks! Remarkable! Its actually awesome article, I have got much clear idea regarding from this post.